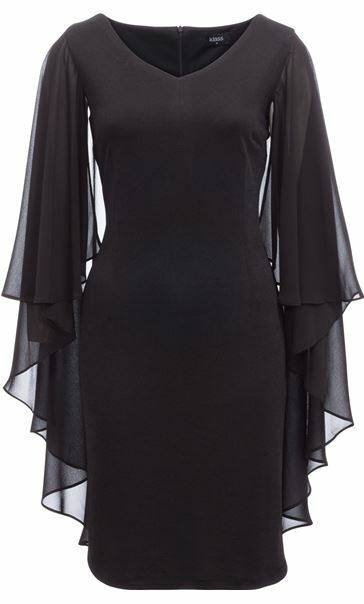 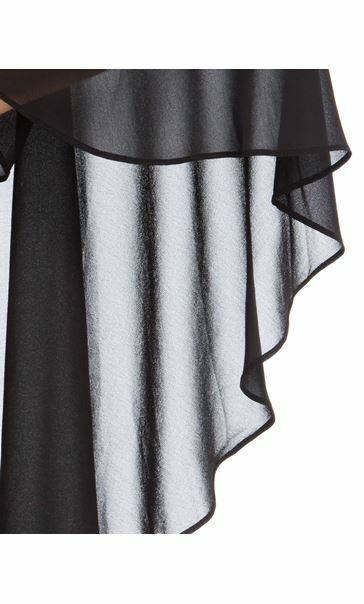 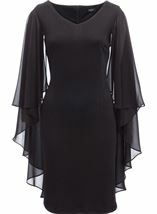 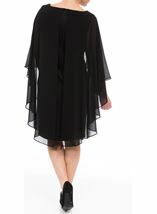 A little black shimmer dress with a difference, this midi dress boasts an attached floaty black chiffon cape that adds that extra special something to your evening look. 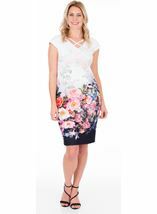 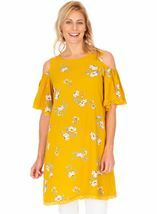 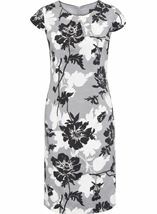 Covering your arms and cascading down the back, complete with split detailing, v neckline, concealed back zip fastening and fully lined. 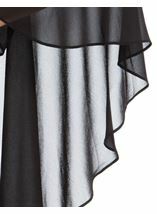 Back length 98cm.